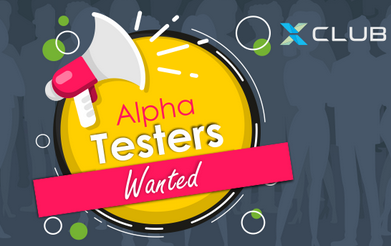 Infinix Alfa Testers Wanted – Apply Now! Are you a lover or user of Infinix smartphone? Well, Infinix mobility Limited have good news for you. Infinix Mobility is looking for XFans who are tech enthusiasts, super passionate in android world and also have good suggestions for Infinix products and its future. If you fit this profile, then Infinix is looking for you. What Do Alfa Testers do? As an Alpha tester, you get the opportunity to try out Infinix products before anyone else and get the chance to pass on recommendations to the product team. Follow this link to apply as Alfa tester. Lemme give it a shot. infinix users, where art thou? Must you be an infinix user to apply? regardless if whatever version of model of infinix you using? Please when is Android 9 going to be available to note 5 stylus. I will give it a shot, let’s see how it goes. This is great idea by infinix they are fast becoming a stronghold in the mobile world and tester recommend will make them roll out topnotch products. Guys that can hunt Bug of over to you people. This is great idea by infinix they are fast becoming a stronghold in the mobile world and testers recommendations will make them roll out topnotch products. Guys that can hunt Bug of over to you people.